Farmer's son. Studied at the University of Barcelona. Jesuit from age 20. Priest. 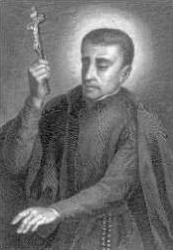 Influenced by Saint Alphonsus Rodriguez to become a missionary in America. Ministered, physically and spiritually, to slaves when they arrived in Cartegena, converting a reported 300,000, and working for humane treatment on the plantations for 40 years. Organized charitable societies among the Spanish in America similar to those organized in Europe by Saint Vincent de Paul. Second of seven boys born to Francisco and Maria Aranguren, a pious farm family in the Basque region of northern Spain; three of them grew up to become Jesuit brothers. Francisco left home at age 14 to work as a domestic servant at the newly opened Jesuit College of Nuestra Señora de la Antigua in Orduña, Spain. By age 17, he had felt a call to join the Jesuits himself, and travelled on foot to Poyanne in southern France to enter the initiate, the Jesuits having been expelled from Spain following the revolution of 1868; he made his initial vows as a Jesuit lay brother on 2 February 1876, his final vows on 15 August 1877. Beginning in early 1877, he served as a sacristan and infirmarian at the La Guadia college where he was in charge of the medical care for 200 young men. 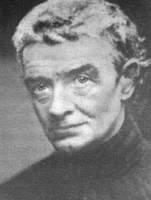 Assigned to the Jesuit Duesto college as doorkeeper, sacristan and infirmarian in March 1888; he served there for the next 40 years. 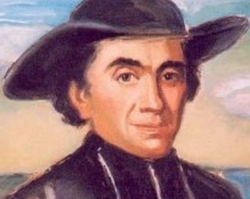 Francisco became known for his prayer life and simple living, his kind care and charity for the students, and as a source of wisdom and advice for all; he prayed constantly, carried a rosary everywhere, and was a beloved example of living a ordinary life with piety. Son of a prosperous farmer, Jacques grew up in a pious household with examples set by his mother and an uncle who was a priest. Jacques' mother died when the boy was seven years old. Intially torn between the priesthood and medicine, Jacques was educated at local schools, Evraux, and Stanlislaus College in Paris, France, and received his medical degree in 1830. Jacques established his medical practice in Saint André and Saint Ivry-la-Bataille in his native Normandy, France and became more worldly, ignoring spiritual things. However, a near-fatal fall from a horse led him to re-examine his life. A few months later he closed his practice and entered the seminary of Saint Sulpice. Ordained four years later in 1838. Parish priest in Normandy for two years. But Jacques felt a call to more active ministry, and he finally gave all his possessions to the Society of the Holy Heart of Mary (which later became the Congregation of the Holy Spirit and Immaculate Heart of Mary), and was sent as a missionary to Mauritius on 14 September 1841; he never saw France again. Slavery had only recently been outlawed in Mauritius, and many of Jacques' potential parishioners were freed slaves, poor, uneducated, often unemployed, and always treated as second class citizens. Jacques lived with them, learned their language, fasted when supplies were short, slept in a packing crate, used his medical training to heal them, and explained that to God there were no unimportant people, that no one was second class. He instituted reforms in agriculture, sanitation, medicine, science, and teacher education. He placed responsibilities on people, checked their performance, and as so often happens, the people rose to the occasion. The faith spread throughout the region, and Jacques is believed to have made 67,000 converts in his parish. He knew, respected, worked with, and received help from leaders of local Muslims, Buddhists and Hindus on the island. There were 40,000 mourners of all faiths at his funeral. The date of his death has become a national holiday in Mauritius with an average of 100,000 Christians, Animists, Buddhists, Shintoists, Hindus and Muslims making pilgrimage to his tomb that day. One of eleven children of August Üffing and Maria Schmidt, Emma grew up in a pious family in a small town. At 18 months, she developed a form of rickets that stunted her growth and left her in poor health the rest of her life. Made her First Communion on 27 April 1924, and was Confirmed on 3 September 1924. Emma worked on her parents' farm as a child, and by her early teens began to feel a call to religious life. She worked as an apprentice in house keeping management at the hospital in Hopsten, Germany, completing her studies in May 1933. Entered the Sister of the Congregation of Compassion (Klemensschwestern) on 23 July 1933, taking the name Euthymia; she made her simple vows on 11 October 1936, and her final profession on 15 September 1940. Assigned to work at Saint Vincent's Hosptial in Dinslaken, Germany in October 1936. Graduated with distinction from the nursing program on 3 September 1939. Worked as nurse through World War II, and in 1943 she was assigned to nurse prisoners of war and foreign workers with infectious diseases. She worked tirelessly for her charges, caring for them, praying for them, and insuring they received the sacraments. After the war she was given supervision of the huge laundry rooms of the Dinslaken hospital, her order's mother-house, and the Saint Raphael Clinic in MÜnster, Germany; what little spare time she had was spent in prayer before the Eucharist. Pierre was known as a pious and studious child who early felt a call to the priesthood. He entered seminary at Montfaucon, France in November 1818 at age 15. While a deacon he opened a school for boys. Ordained on 23 December 1827 at age 24, and served in the diocese of Cahors, France. He opened a seminary preparatory school in 1831. Founded the Children of Mary to help provide for the spiritual and mundane needs of girls in Gramat, France. He urged the young people in his groups and schools to visit and help the poor elderly who were effectively abandoned. He established a home for the indigent, and to staff it he founded the Congregation of Sisters of Our Lady of Calvary dedicating to teaching children, helping the poor, sick, elderly, and disabled. As part of his parish work, Pierre preached missions in the region, and became known as a excellent preacher, converting many. He had a special devotion to Our Lady of Rocamadour. Once while preaching a retreat, he completely lost his voice; through prayer to Our Lady of Rocamadour he was miraculously healed and finished the retreat. Father Pierre felt a desire to become a Carmelite, but his bishop insisted that he continue his work as a missioner, and gave him a new group of missioners to work with. Pierre obeyed, preaching until 1848 when larynx disease forced him to stop. His mission vocation over, Pierre turned his attention to the Congregation, expanding their work into care for the deaf and mute in 1854, and the mentally ill in 1856. His last years were spent in spiritual guidance of the Sisters, writing their Rule, and expanding the areas of their good works. Today the Congregation has sisters working in France, Brazil, Argentina, Guinea, Ivory Coast and the Philippines. Son of Beoit, a carpenter and chariot builder. Spiritual student of Saint Finian of Clonard and Saint Dermot. Considered the most learned monk at Clonard. Tutor to the daughter of the king of Cuala. Lived seven years as a hermit at Inishmore with Saint Enda. Monk at the abbey of Isel in central Ireland, but was run off by his brother monks - his charity to the local poor was so great that it threatened to bankrupt the abbey. He lived for a while with eight other hermits on Inish Aingin. Founder of the Clonmacnoise abbey in West Meath, and served as its first abbot. Spiritual teacher of Saint Comgall of Bangor. He placed that house under a singularly austere rule, referred to as the Law of Kieran to draw those monks who felt a need to ignore the physical world completely. The house was known for centuries as a center of Irish learning and thought. Reported miracle worker. Monk. Abbot at the monastery of Borovsk, Russia in 1477, but his strict discipline did not sit well with his brothers. Founded the monastery at Volokolamsk, Russia in 1479, and served as its abbot. Reformer in his houses, stressing discipline, fasting, obedience, devotion to the liturgy, learning, and works of charity; his vision of a monastery included support of social services to local laity. 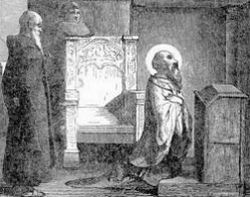 Met Saint Nilus of Sora at a Council at Moscow, Russia in 1503 to discuss the church reforms each had put forth; Joseph's ideas won out, and helped changed the direction of the Church activities in his land. In Torrelaguna, Spain she met and married to Saint Isidore the Farmer. She spent her life working on the farm, cleaning local chapels and shrines, helping the poor. The title of the Head is due to her head being a relic venerated for centuries, and the need to distiguish her from so many other Saints Mary. Spritual student of Saint Guthlac of Croyland. One of several hermits around Croyland in Lincolnshire, England who were subject to the monastery there. Some stories claim Bettelin was a Mercian nobleman married to an Irish princess. While the two were travelling through a forest, the princess went into labour. Bettelin went for help, and while he was gone the princess delivered the baby; the two were eaten by wolves. This traumatic event reputedly sent Bettelin to the hermitage. The reliability of the story is, well, questionable. In 617, following the death of his parents, Omer became a Benedictine monk at Luxeuil, France under the direction of Saint Eustace. Bishop of Therouanne in 637. He reformed the administration of his diocese, and supported ministry to the sick and poor; his brother monks from Luxeuil played a large role in this work. Founded the monastery of Sithiu; it became a great religious center, and the town that developed around it became known as Saint Omer. Reputed miracle worker. Favourite and trusted servant in the court of Emperor Diocletian. Convert to Christianity. Tortured and martyred with a group of other Christians during the persecutions of Diocletian. Studied in Paris, France. Priest. Ministered to covert Catholics in England. Arrested in York and martyred for the crime of being a priest. One of the Martyrs of England, Scotland, and Wales. Bishop of Chur, Switzerland. Known for his charity to the poor, his ministry to prisoners, and his support of people of Rhaetia who were displaced by invading Franks. Born to an illustrious family. Benedictine nun. Anchoress near Brieuc, Brittany (in modern France). Mother of Saint Edith of Wilton, the result of adultery with King Edgar the Peaceable. Benedictine nun at Wilton, England, hoping that a life in the convent would make up for her sins. Spiritual student of Saint Ethelwald. Abbess of Wilton. May have been a member of the Anglo-Saxon nobility. While a novice at Wilton abbey, King Edgar the Peaceful sought her hand in marriage. She declined, and eventually took her vows as a Benedictine nun. Abbess of convents in Barking and Ilorton in 993. Roman imperial senator during the persecutions of Licinius. He witnessed the martyrdom of the Forty Martyrs of Sebaste and was moved to proclaim his own faith. Martyr. Benedictine monk. Spiritual student of Blessed Vitalis. Abbot at Savigny from 1122 to 1139 during which the congregation increased to 29 houses in Normandy, France, in England and in Ireland. Bishop of Masil. Martyred in the persecutions of Diocletian. 8th–9th century bishop of Metz, France. 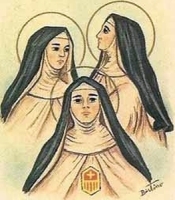 Three blood sisters who became Mercedarian nun at the monastery of the Assumption in Seville, Spain.